Helen Wilson, Art Lug, 2014. Camberwell BA Sculpture graduate Helen Wilson has been selected as one of 40 artists included in the 2015 Catlin Guide. Identifying “the most exciting new graduate and postgraduate artists from UK art schools”, the Catlin Guide selection is overseen by curator Justin Hammond in collaboration with leading gallerists, curators, collectors and course tutors. A quarter of this year’s selected artists are UAL graduates, including Emma Corrall who studied BA Painting at Camberwell in 2009 before completing her MA Fine Art at Central Saint Martins last year. You can read more about Helen’s work and what she has planned for the future in this interview with her on the UAL news blog. Find out more about Helen’s work on her website. Read an interview with Camberwell alumna Emma Corrall on the UAL news blog. Find out more about the Catlin Guide and Art Prize 2015 on their website. 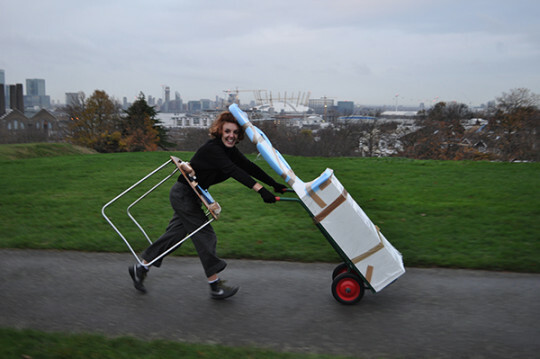 Find out more about studying at BA Sculpture at Camberwell College of Arts on our course page.